LP1BDX series opposed disc harrow has proved to be satisfactory for harrowing work on uncultivated lands and in heavy clay soil fields. It may be used for cleaning away stubble of plants before tillage or crushing clods after tillage. 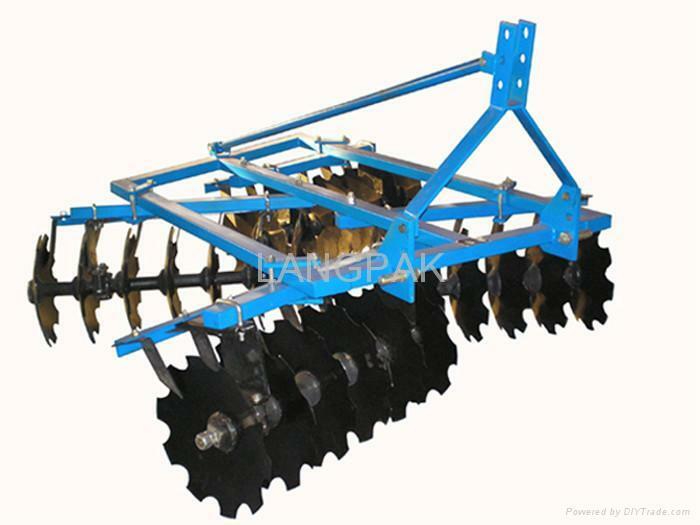 It may also be used as a plough for primary tillage in cultivated fields. The surface of the field after harrowing is level and the crushing and clearing ability of the harrow is satisfactory. Easy to hook up, simple to adjust, bidirectional steering high maneuverability, stable driving and good possibility.